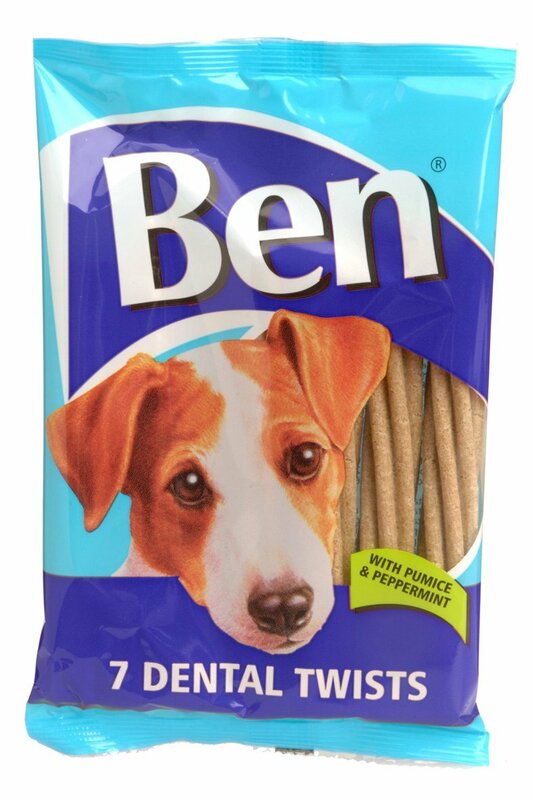 Ben Dental Twists are meaty, semi-moist meaty dog treats, with pumice & peppermint. As your dog chews they help to lift off layers of plaque and tartar. Suitable for dogs of all ages. Cereals, Minerals (pumice 1.2%), meat and animal derivatives, vegetable protein extracts. There are currently no questions for Ben Dental Twists Dog Chews - be the first to ask one!